Six teams will be on the start line on Friday afternoon for the Itajaí In-Port Race in Brazil, with Vestas 11th Hour Racing joining the fleet following its dismasting, and subsequent repair and relaunching. 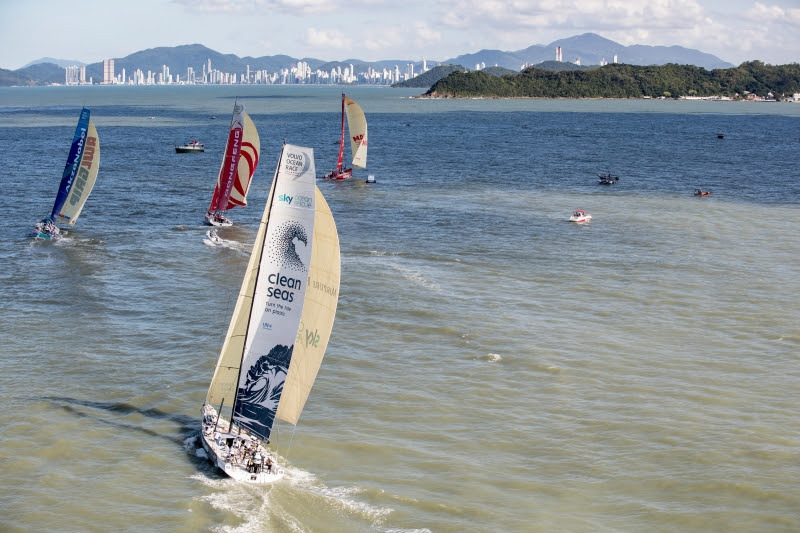 Team SHK/Scallywag, who only arrived in Itajaí on mid-afternoon on Thursday won’t be taking part as the team races the clock to prepare for the start of Leg 8. This is the seventh event in the Volvo Ocean Race In-Port Race Series. The Spanish MAPFRE team, skippered by Xabi Fernández, is at the top of the leaderboard for the series, with two race wins and three second place finishes to boast the most consistent podium results. But just three points back is Dongfeng Race Team, winners of three races, but held back by one disappointing result in the China stop. The two Dutch-skippered entries, team AkzoNobel and Team Brunel are battling for the final podium spot, with Simeon Tienpont’s AkzoNobel squad just one point ahead of Bouwe Bekking’s Brunel. The Volvo Ocean Race In-Port Race Series acts as a tie-breaking mechanism for the overall race leaderboard. And with just one point separating first from second place after seven legs of racing, the results here could be crucial by the time the race finishes in The Hague at the end of June.